Providing Commercial Two Way Radio Sales and Installation Since 1974! For the sale, service and installation of two-way radios, trust Omega Electronics. We’ve been serving customers throughout the Texas Panhandle area since 1974, bringing you brands like Kenwood, Vertex, Icom, EF Johnson, and Midland, alongside the expertise you need to own and operate your radio system to the fullest. Contact us today for the best in dispatch consoles, two-way radio systems and accessories. We’ve got more than four decades of experience in the two-way radio industry, with knowledge and understanding of all products and brands. 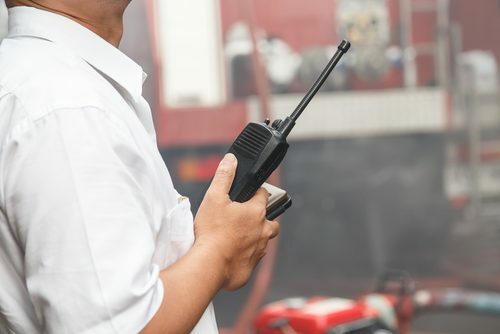 We offer our services to a wide range of customers, including law enforcement and schools, who require two-way radio technologies of the highest caliber. Our product familiarity includes the likes of Bosch, EF Johnson, Icom, Kenwood, Maxon, Midland, Motorola, Relm, Unication and others. Our business is a proud member of the Amarillo Chamber of Commerce and prides itself in maintaining an A-plus rating with the Better Business Bureau (BBB). We offer dispatch repeater monthly airtime for enthusiasts and other non-commercial customers who wish to rent airtime. For police cruisers, school busses and other commercial vehicles operating in Amarillo, TX, two-way radios are of critical importance. They allow for instant, informed communication that helps drivers and dispatchers operated effectively in real time. For two-way radio systems, dispatch consoles and other necessary communication equipment, Omega Electronics is your answer. As one of the longest-running companies in Amarillo for two-way radio sales and installation, we bring you trusted products and a wealth of expertise, so you can communicate effectively, no matter the application. We even provide the necessary installation in vehicles, including police cruisers, school busses, utility vehicles and commercial transport. Our two-way radio systems in Amarillo, TX are backed by some of the industry’s best name brands, as well as the tenured experience of our team. Bring us any questions or specific radio needs you have and we’ll make sure you walk away with solutions that work. From sales and installation, to troubleshooting and repair, we make a complete range of radio services available to you. Have a need for dispatch repeater monthly airtime? We can do that too! We’re the first and foremost choice for two-way radio sales, service, installation and expertise. Come see our dedication to our craft for yourself and experience the many benefits our tenured professionals have to offer. 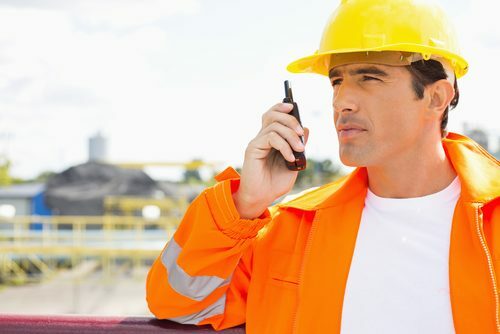 For two-way radio sales and installation you can count on—no matter the nature of the industry you’re in—Omega Electronics has the solutions you’re looking for. Contact us today!